Bullet jewelry just got an upgrade and so did your wardrobe! 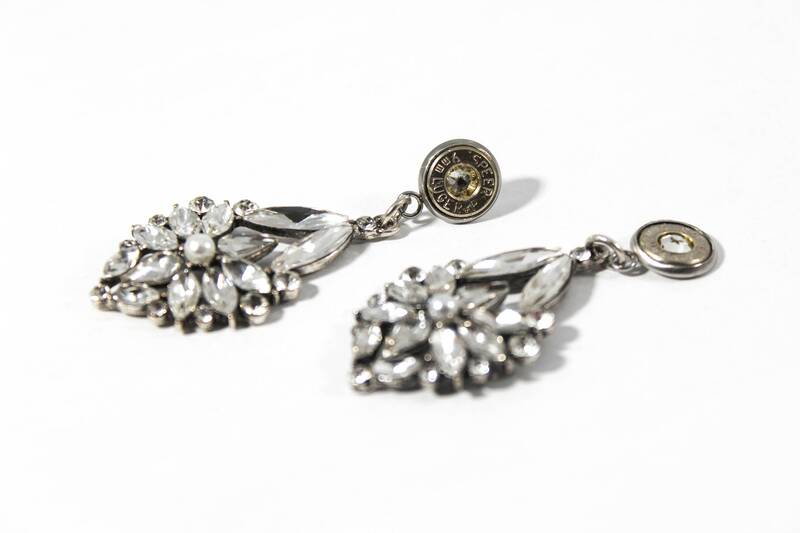 This dynamic duo is sure to bring out the glamour at your next NRA banquet outing. 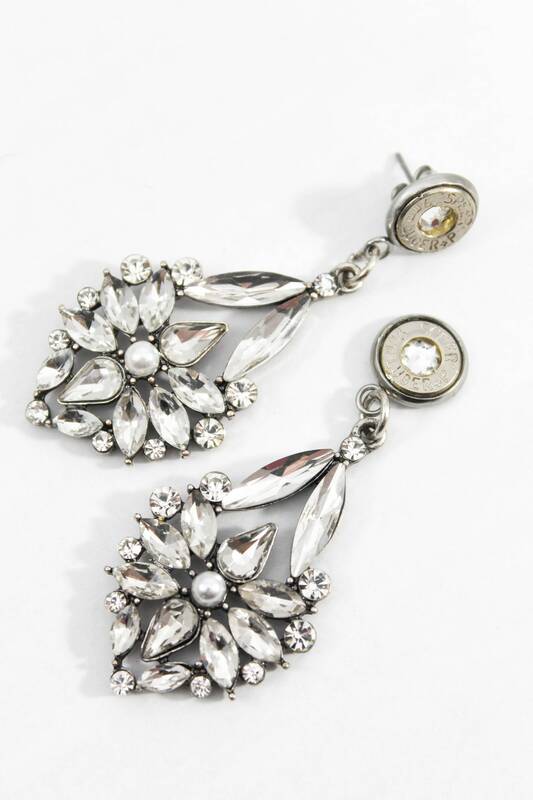 The perfect amount of glitz for your next country concert under the stars or even Sunday brunch followed by an afternoon at the range. 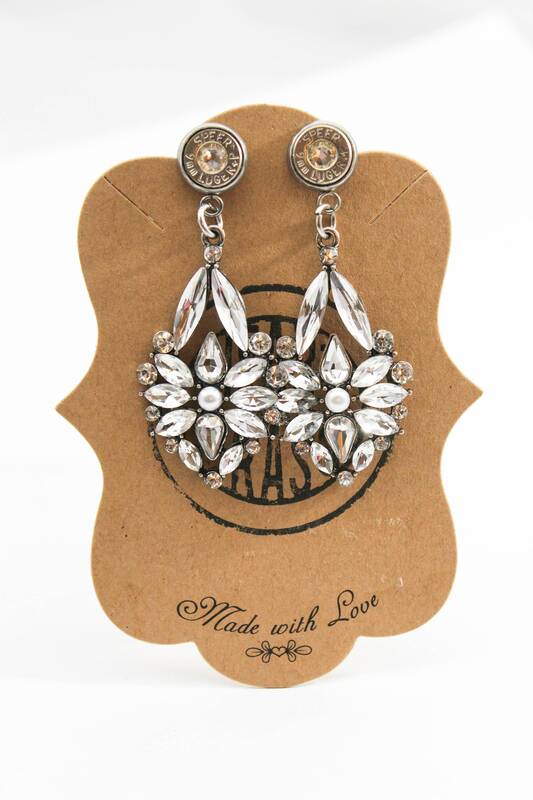 However you decide to dazzle in them, these are the perfect lightweight pair of earrings for you! - STAINLESS STEEL settings and post for anti-allergen protection and comfort! *Each bullet has been shot by myself at designated and supervised outdoor gun ranges.